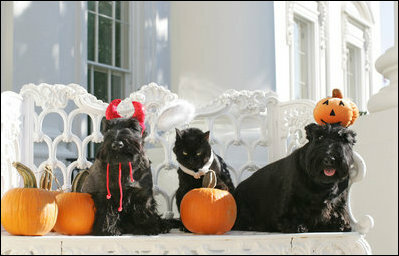 First Family pets get in the Halloween spirit, Friday, Oct. 17, 2008, in a portrait on the Blue Room balcony on the south side of the White House. From left are Miss Beazley, Willy the cat, and Barney. The dogs are Scottish Terriers.